I have donated items to the local Salvation Army thrift store on numerous occasions, and I’d shopped there before when looking for furniture. But I never took the time to go through their clothing department. I’d been missing out! For my budget of $50, I brought home a LOT of stuff, some of which was so awesome that I actually did some reselling. 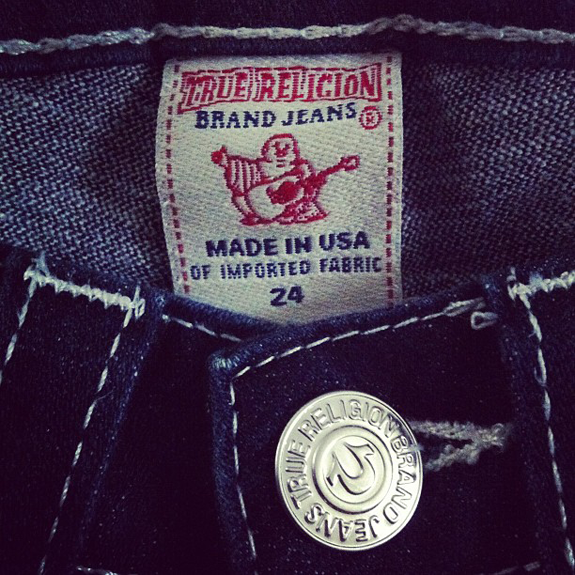 If you’re not familiar with True Religion jeans, here’s a brief description: They’re expensive. Very. Like $200 a pair brand new. So to find a pair for just $5 meant I was going to buy it whether it was my size or not (it wasn’t, not was it the size of anyone I know). I inspected them carefully to make sure they were genuine and not cheap knockoffs, and then I took them to my favorite consignment store. I’m not sure yet how much they will sell for, but I can guarantee it will go for more than $5. It’s entirely possible that I’ll earn back the entire amount I spent on this thrifting jaunt. 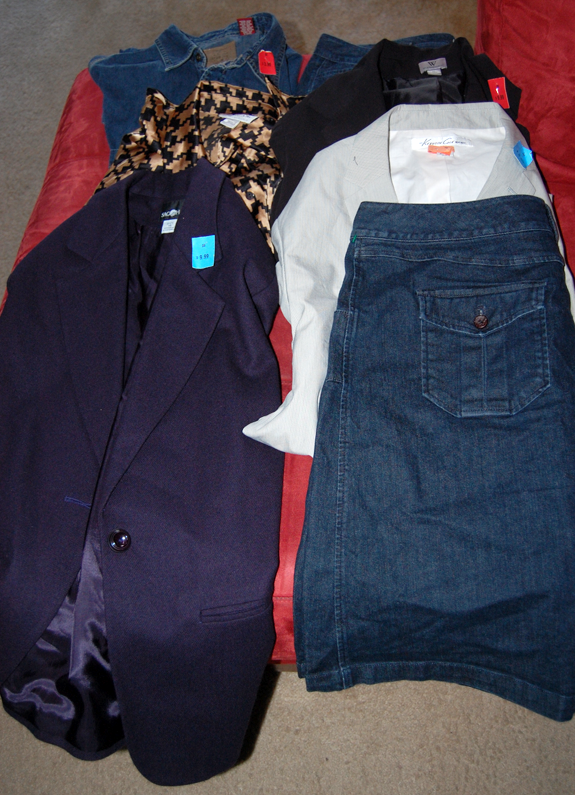 I also resold the brand new Mossimo jeans to a different clothing resale store for $10 — a profit of $7.50. Which brings my total spent down to $44.93 — less than my original budget. I didn’t go thrifting with the specific intent to resell, but sometimes you just come across things that are worth trying to sell for a profit. Other than those two items, I did get some other items I’d really wanted. As you can see, I went a little blazer crazy. But with the weather getting cooler, I really needed some jackets to help me extend my summer wardrobe, and I didn’t want to spend a whole lot on them. $19.99 for three quality blazers is a darn good score. My observation is that the blazer prices at Goodwill are a little better (around $5.95 on a regular day, and better with sales), but the quality available at this store was better. I just need to find an eco-friendly dry cleaner (actually wet cleaner) so I can have them laundered. 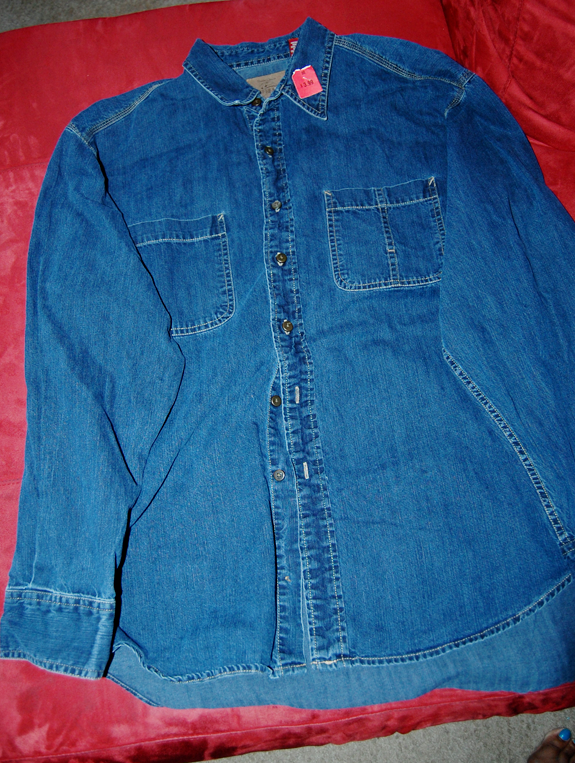 I’d also been looking for a long-sleeved denim shirt for long time. This one isn’t exactly what I was looking for, but I’m planning on doing something cool to it. It’s a men’s work shirt (I believe), and planning to add some studs to update it a bit and make it more feminine and fun. So how did I do? 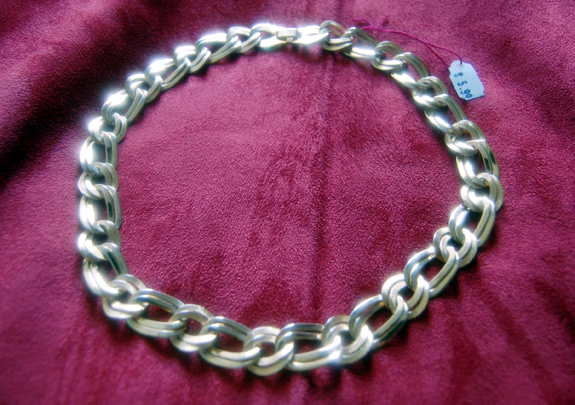 What did you find on your last thrifting haul? Feel free to share a link to it in the comments! I love the blazers. I have to do a post on some of the finds I found thrifting for $18.00 total. We should get together some time and go thrifting.